At the advent of the new economic policy and globalisation in 1991, the traded at 17.5 to the US dollar. Since then, it has not gained any strength till date. 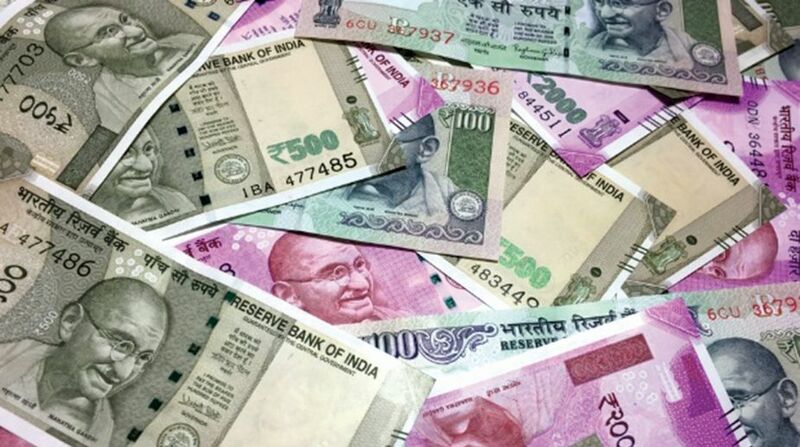 In the last three months the rupee has depreciated from 64 to 67.7 to the dollar. Prior to globalization, the value of the rupee in terms of different currencies (exchange rates) was administered by Reserve Bank of India (RBI). As the barriers to trade started crumbling in the age of globalisation and restrictions on foreign investment were removed gradually, the determination of exchange rates also went out of the control of the RBI. Exchange rates started getting determined by market forces of demand and supply. Today all tariff, as well as non-tariff barriers (which are also called quantitative restrictions) to imports, have already been removed. There are least restrictions on inflow and outflow of foreign investment and there is no effective control on the outflow of foreign exchange in the name of royalty, dividends, interest etc. Foreign exchange received from exports is much less than the outflow due to imports and income transfers, because our imports overwhelm exports. Therefore, this imbalance in the demand and supply of foreign exchange (say dollars) leads to depreciation of our currency. The deficit in our trade balance is partially compensated by huge foreign remittances received from our Diaspora. Receipts from the exports of software and services including BPO services and foreign direct investment (FDI) and foreign portfolio investment (FPI) help us in maintaining balance between demand and supply of foreign exchange. However, when foreign investors, especially foreign portfolio investors take their investment back, or imports get dearer, the rupee gets weaker. In recent months the main reason for the rupee getting weaker has been an increase in the price of crude oil internationally, which is causing an increase in the demand for dollars. In recent months there has been a tendency for portfolio investors to take their money back to their respective countries; what we call outflow of portfolio investments. This is causing an increase in the demand for dollars to make the rupee weaker. Major reason for outflow of portfolio investors has been increase in interest rates in US. Recently, the Trump administration has also started adopting various measures including cut in tax rates to attract investments. We need to understand that there is nothing like deterioration in the fundamentals of the Indian economy. Rather, there has been significant improvement in these fundamentals. GDP growth is showing an uptrend, and foreign agencies are expecting GDP growth to be between 7.4 and 7.8 percent in FY year 2018-19; manufacturing sector is showing better results and inflation is more or less under control. Therefore, we can say that this weakness of the rupee is primarily due to global factors. This is revealed from the fact that many major currencies of the world have been weakening vis-a-vis the dollar and the rupee is no exception. In the last three months while currencies of all BRICS countries have weakened, the depreciation has been greater for currencies of Brazil and Russia. The Brazilian Real has depreciated 7 percent and the rouble has depreciated 5.3 percent, as compared to the rupee which depreciated by 4.4 percent. South African Rand depreciated by 2.3 percent, while the Chinese Yuan lost 0.5 percent. Depreciation of rupee is not a good omen for India. Whenever rupee gets weaker exporters are very happy, because they get more rupees for their exports. They always argue for a weaker rupee, because they claim this can help us reduce our trade deficit. There is no dearth of economists who support this argument. However, we need to understand that a weaker rupee multiplies our problems, causing imports to get dearer. Interest burden of businessmen who have borrowed from abroad rises in rupee terms. It is notable that many of our companies have been borrowing abroad due to lower cost of borrowing. However, when the rupee gets weaker, their advantage turns into a disadvantage and they suffer losses. People of India, who have already been reeling under high petroleum prices, may face dual attack due to weakening of rupee. Given that the forces of demand and supply determine the value of rupee, stemming its free-fall is not an easy task. We have no control over oil prices nor can we prevent portfolio investors leaving. However, in the determination of exchange rate we can definitely bring in efficiency. We understand that as and when foreign institutional investors (FIIs) bring foreign exchange into India, the rupee gets stronger due to increased supply of foreign exchange. At that point of time, RBI under the influence of thinking that stronger rupee may work against exports, starts intervening in the market by purchasing dollars to stop appreciation of the rupee. However, when investors take their money back, RBI doesn’t similarly intervene and lets the rupee get weaker. These upheavals in exchange rates only benefit speculators. Since it is a well-established fact that FIIs keep bringing foreign exchange and taking it out from time to time, we need to minimise the impact of these actions on the value of rupee. We know that to overcome the problem of instability in prices of agricultural commodities, the mechanism of ‘buffer stock’ has been used. The same can be tried for foreign exchange, too. Whenever there is increase in supply of dollars due to inflow of foreign portfolio investment (FPI), government may purchase these and keep it in the buffer stock and release it when there is an outflow of FPIs. In this way we can easily stop unwarranted upheavals in the value of rupee. The writer is Associate Professor, PGDAV College, University of Delhi.